All students who use or participate in activities led by the Student Success Center will need to complete the Online Orientation found on the Student Success Center Resources Canvas site. Once the orientation is complete, the student can get fill out our online contract and agree to our policies. From there, students gain access to all the resources and support that the SSC has to offer! Supplemental Instruction (SI) is an interactive academic program that incorporates hands-on learning activities for students enrolled in specific courses. Courses that are affiliated with SI will offer ongoing, weekly SI sessions that deliver course material in fun and engaging ways. Statistically, those who regularly attend SI sessions see an increase in course achievement. SI session day and times will be determined by students’ availability in the course and will be geared to their needs. To see a list of current SI classrooms, please click this link to view a Google doc of current teachers and sections that utilize SI leaders. 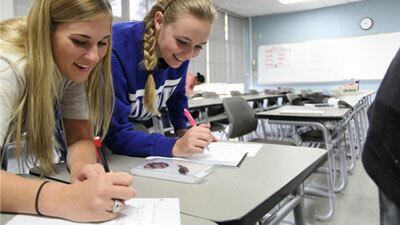 The Student Success Center provides one-on-one and group tutoring assistance for any math or science course. Our tutors use independent learning strategies to help students better understand course concepts. Tutors will not do students’ works but will guide students through the material for a more holistic understanding. Discuss individual concepts, formulas, and assignments. Provide suggestions for improvement (i.e. formulas to know, logical steps to follow). Correct your mistakes and hand your homework back to you without a discussion. Solve your homework problems for you. Sit with you for more than one problem at a time. The Student Success Center offers students one-on-one assistance with reading and writing strategies in ANY discipline. Our RAWC tutors are trained to assist students with any phase of the writing process for all courses and will help with reading skills for any textbook or literary form. We recognize that reading and writing skills are important across the curriculum and are equipped to help students at any stage preparedness. Provide assistance and support for all levels of writers. Discuss individual topics and assignments. Provide personal writing profile and suggestions for improvement. Correct your mistakes and hand your paper back to you without a discussion. Write your essay or tell you what to say. Judge writing; please do not ask us to give your paper a grade or to predict the grade you will earn on your essay. 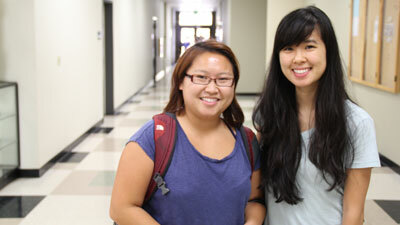 The MESA program is for students who have declared a major within mathematics, engineering or sciences. MESA is designed to help students within STEM fields excel academically, build community, participate in internships, capitalize on scholarship opportunities, and transfer to a four-year university. Click here to learn more about the MESA program and/or apply.